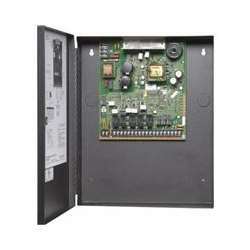 The HONEYWELL-HPF602ULADA is a 6.0 A notification power expander that provides its own AC power connection, battery charging circuit, and backup battery space for use with fire and security controls. It is ideal for powering notification appliances required by the Americans with Disabilities Act (ADA). It contains a built-in ANSI cadence pattern, which can upgrade older control panels that lack cadence capability.